Today I would like to talk about the outlook for Indonesia, in the context of the broader Asian market, and the implications for South Australian business and how we can deepen the economic partnership between South Australia and Indonesia. Many of you in the room today have extensive experience in the Indonesian market, and I am conscious that many others here today are only at the early stages of considering Indonesia as a potential market opportunity. Today I would like to help bridge this gap in experience and tell the positive story of Indonesia today in the twenty first century. Firstly, let me tell you some of the key facts about Indonesia and why Australian business should be taking a closer look at the opportunities that are emerging in our closest international neighbour. The 21st century is very likely to be orientated around Asia, away from the traditional markets in North America and Europe. If you are not part of the Asian story then your future business outlook could well be limited. But it is important to be reminded that Asia does not just comprise China and India. There are other markets in Asia that offer many of the same opportunities. With a population of approximately 240 million people, Indonesia has a strong and vibrant internal market. Indeed recent estimates put the middle class population in Indonesia at between 30-50 million people……that is potentially more than double Australia’s population. Coupled with increasingly effective economic management, Indonesia has largely avoided the economic downturns recently experienced by other countries. Indonesia is one of the few countries in the past two years that has produced greater than 5% economic growth. However, despite the attractiveness of Indonesia as a target for both trade and investment, it still only ranks as Australia’s 13th Largest Trading partner. And yet as neighbours with complementary skills, resources and markets, why is this? And what can we do about it? How can we deepen the economic partnership between Australia and Indonesia? Indeed South Australia and Indonesia? In this presentation, I would like to give an update on the current outlook for Indonesia and the opportunities and challenges for Australian business. I will also propose some ideas on how we can deepen the business to business relationship. “After Years of Inefficency, Indonesia Emerges as an Economic Model”. But whilst some share Fauzi’s enthusiasm and I am one to share this enthusiasm, many people have a different perspective. There is a view amongst some Australian companies that the reticence to invest in Indonesia is due to the difficulties posed through the bureaucracy and regulation. International investors have chosen in many cases to try other markets. This is born out in the investment figures. Indonesia is not getting the level of foreign direct investment (FDI) commensurate with an economy of its size (US$8.3bn last year). And according to the World Bank Ease of Doing Business Report, Indonesia ranks 122 out of 181 countries (up from 129 in 2009). We need to acknowledge the challenges and opportunities to entering the Indonesian market. There are about 450 Australian companies with investments in Indonesia – including CBA, ANZ, Coca Cola Amatil, Ramsey Health, Theiss and Santos. 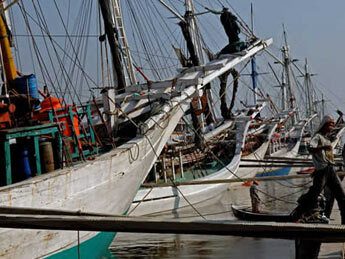 There are also many SME’s that have invested in the Indonesian Market. There are 46 companies represented in this room today, and I know that not all of you are invested in the Indonesian market. Your presence here today is a reflection of the emerging opportunities presented in Indonesia. Government/Business Relationship The re-election of President SBY has been very positively received by the business community. A good showing by President Yudhoyono (SBY)’s party and a clear result (60.8%) in the first round of voting in the presidential elections sent a clear signal about the political stability in Indonesia to foreign investors. SBY visited Australia in early 2010 and addressed the Australian parliament and business groups such as the AIBC. The president made the simple observation that Australia has more “Indonesianists” and Indonesian language students than anywhere else in the world. And yet our business to business relationships significantly lag the outstanding government to government relationships. The President also made the point that we are not just neighbours but friends and strategic partners, but more importantly SBY delivered a clear and unequivocal message to the Australian Business community that the Indonesian government was serious about encouraging greater foreign investment. In October last year I had the good fortune of being part of the Australia business delegation that travelled to the Indonesian International Trade Expo in Jakarta where I met and discussed with the Indonesian Trade Minister Dr Marie Pengestu, about not just the importance of the Australian trade relationship, but indeed about the importance of the relationship between South Australia and Indonesia. Trade corridors such as the Adelaide to Darwin railway now provide an opportunity for South Australian products to be transported to Jakarta in just over a week. But how many South Australian companies take advantage of this trade corridor? So when is the Australian business community going to take advantage of the opportunities in Indonesia? And when are South Australian companies going to take advantage of the freight corridor that links Adelaide with Jakarta and beyond? The Australia Indonesia Business Council is the key business networking and advocacy organisation that promotes trade and investment between Australia and Indonesia. And We can view the success and profile of the AIBC as a “barometer” of the level of business activity between Australia and Indonesia. An active and vibrant AIBC reflects a growing economic partnership. However, in recent years, the AIBC has been relatively low profile. But in the past two years, the AIBC has become more active, and undergone resurgence. I believe this is because of the vibrancy of the Indonesian economy, which like Australia survived the Global Financial Crisis and has become an increasingly attractive market in which to do business. A good indicator of the interest in Indonesia through the AIBC was at our recent national conference held in Sydney, where we had over 200 of Australia’s business leaders attend, and we heard speeches from senior Australian and Indonesian government, and business leaders about the importance of the trade relationship. The attendance at today’s event is an equal indication of the interest in the Indonesian market. In the coming year the AIBC will be leading the way in both South Australia and more broadly across Australia to help showcase the business opportunities that are emerging in Indonesia, and so if you continue to see us out here running successful functions such as this, and our recently held national conference, then you can be sure Indonesia is well and truly back upon the Australian business radar. The AIBC is also involved in advocacy work, and part of this advocacy is around ensuring that Australian and Indonesian companies can maximise these trade opportunities. As I have already raised, one of the challenges to business in Indonesia is the regulatory and bureaucratic hurdles that must be overcome. And this is why we have been advocating for an Economic Partnership Agreement between Australia and Indonesia, a partnership that can help eliminate some or all of these non-tariff barriers to trade and investment. We should see Australian and Indonesian companies not as competitors, but instead as partners in the global supply chain, and this is indeed a role, I hope we can promote and develop in the relationship between South Australia and Indonesia. What is wrong with Surf Wear being designed on the Gold Coast, manufactured in Bundung and then sold in department stores around the world? What’s wrong with South Australian high technology companies designing products in Adelaide, manufacturing the bulk components in Indonesia and then assembling the high technology components in Adelaide for export the global market? Rather than just looking at the barriers let’s start looking at the opportunities. Indonesia is not only Australia’s closest neighbour, but it is one of the most attractive business destinations in the global economy at the moment. Whilst several Australian companies have successfully invested in the Indonesian market, the trade and investment statistics show that our current economic relationship is “underweight”. There is a critical need for a different approach to trade investment promotion and facilitation. Despite the recent favourable media coverage, Indonesia is still not on the radar for many Australian businesses…and if it is the perception does not match the reality. We should encourage greater resourcing by both Governments so as to engage in more sophisticated market development and promotion. This should start by identifying the key opportunities in the global supply chain and identifying where the specific Australian and Indonesian industry sectors and companies can partner to capitalise on these opportunities. If we consider the large middle class population in Indonesia, then we can be reminded of the potential market opportunities that exist. In Jakarta there are seven Luis Vutton stores, and when you go out to buy your Mercedes Benz, you won’t find it on the side of the road in car yards….you will need to visit the state of the art shopping malls, where you can shop for your Mercedes, next to your Jag, Bentley, BMW, Ferrari and Lamborghini. You only need to choose between Black and Silver for the colour in many cases, and your purchase decision is made on the comfort of the back seats…. When you travel the streets of the Jakarta CBD you are confronted by state of the art architecture and design. Indonesia is not a backwater…it is a market of opportunity. Finally, one of the fundamental ingredients to deepening the business relationship is education of our business leaders. As I have already discussed the AIBC has hosted a number of business forums and corporate events for Australian and Indonesian managers over the past two years. We want to tell the “good story” and provide opportunities for Australian companies considering investment in Indonesia to meet and get mentoring advice from Australian companies who have succeeded in their Indonesian Investments. These events such as today are about promoting Indonesia as a Business destination, encouraging Australian Investment and most importantly, educating senior Australian business leaders about the market sitting right on their doorstop. To summarise, the business outlook for Indonesia is very positive. Indonesia has weathered the GFC well and the growth prospects are good, with more work needed to be done on infrastructure and skills development to capitalise on the current momentum. But the current economic relationship between Indonesia and Australia as measured in the trade and investment statistics is “underdone”. Recent interest in Indonesia by Australian corporations does augur well, but there is more that can we can do to encourage greater business engagement. I am very optimistic about the prospects for both Indonesian and Australia business, but most importantly I am optimistic about developing a deeper partnership. Because we should not be under the illusion that the economic and trade opportunities that are in Indonesia today will last forever. If Australian Companies don’t take advantage of these opportunities then someone else will: American, British, Dutch, German, Russian….and Chinese. I would again like to thank you all for spending the time to come to this event this evening and listening to the opportunities for the future that are emerging in Indonesia. August 17th was Indonesian Independence Day and celebrates Indonesia’s emergence as an independent State at the end of World War II. Although there have been ups and downs over the past 65 years, including an attempt by the Dutch to reinstate colonial rule, Indonesia has emerged as one of the strongest economies in the Asian Region, and arguably the most promising economy in the world. In my role as the South Australian Chairman of the Australia Indonesia Business Council I had the opportunity to attend the formal reception at the Indonesian Ambassador’s residence in Canberra on August 17th, and what a reception it was…. The warmth that was accorded to both the Indonesian hosts and conversely the international guests was amazing. Indonesia has truly emerged as an important player in the Asian region and hundreds of guests were there to help Indonesia celebrate. In Australia, businesses are starting to once more look to Indonesia for growth opportunities, and it is indeed a market to consider if your business is looking to engage with Asia. But why is Indonesia such an attractive Market? Indonesia has since Independence attempted to diversify its economy, through development of manufacturing and new industries, to compliment the traditional focus upon agriculture and oil and gas revenues. However when we look at the major exports from Indonesia we can see that Oil and Gas is still the major export product accounting for approximately 90% of exports to Australia for example. This export figure is replicated across Indonesia’s other major trading partners. Indonesia does not have the same trade profile as China, and we will rarely see cheap toys and textiles with ‘Made in Indonesia’ printed on them. This does not mean that there are no manufacturing opportunities in Indonesia, because there are, and there are also agricultural opportunities and mining opportunities for international Businesses. Indonesia is a land of increasing opportunities. As a resource base Indonesia is growing with investments from all the major global miners, and these mining operations all need crucial technical and service support, and Australian companies have jumped into the void to help the Indonesian partners supply this need. As a manufacturing base, Indonesia has many advantages. Firstly, the government is keen to expand and encourage foreign investment in manufacturing in Indonesia, while for manufacturers looking for a location close to existing distribution channels, Indonesia could not be a better location. 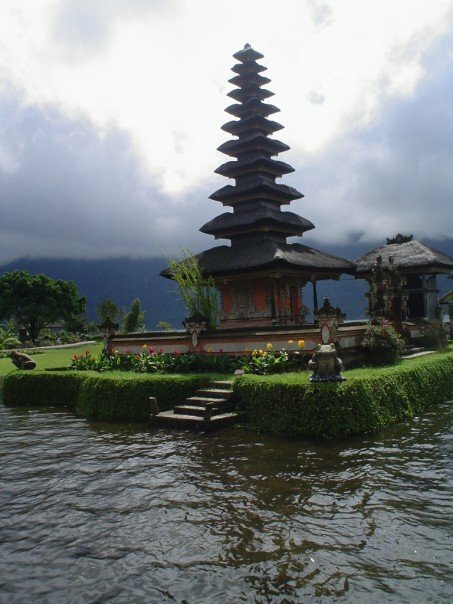 Indonesia is a stone’s throw from Singapore the major through port for trade from east to west and north to south. In fact, most trade between China and Australia, and China and Europe will pass through Singapore. Think of the time advantage from manufacturing in Indonesia, instead of China, there is a potential saving of 10 days or more in transport time alone. Indonesia is also a strong market in its own right, with economic growth in 2010 above 5%. This is great in anyone’s language, and the strength in the Indonesian economy has seen its credit ratings rise to BB+ ratings, which is a good result for an emerging economy. The Indonesian domestic market is moving in the right direction and many Australian and global MNC’s are taking advantage of these strong market conditions. Finance, banking, mining, manufacturing, automotive and service industry companies are all moving into the Indonesian market to reap the rewards on offer. With a population in excess of 245 million people and growing, Indonesia has a large domestic economy and labour force ready for foreign investment. So when you are considering investing in a new international market in Asia, seriously consider Indonesia. It is perfectly positioned to be a springboard of success for you company into Asia and beyond. If you would like more information on the market opportunities in Indonesia, consider joining the Australia Indonesia Business Council (www.aibc.com.au), who can help your business with the networking, advocacy and business tools to succeed in the new emerging Indonesia. Indonesia is the string of islands to the north of Australia, and has long had issues with dealing with foreigners. These foreigners have been the Chinese traders who have been in the area for millennia, the Indian and Arab traders who have brought with them the various religious belief systems that are common to the islands, or the Dutch and other European colonists who have had a trading hold over Indonesia in recent centuries. These tensions developed further during the battles for independence from the Dutch, and the subsequent political upheaval over various periods of the past 60 years. These issues have been around for more than 1500 years, but have over this time not inhibited trade through the region for very long. Indonesia is at the epicentre of trade between East and West, it is a stone’s throw from Singapore, and forms a nexus between India and China. The past decade in Indonesia has seen a transformation in the governance in Indonesia, and has just started to settle down, with President Yudhoyono, recently elected to a new term. Indonesia skipped through the GFC with little negative impact and maintained positive economic growth during 2008, 2009 and has seen increased forecasts of growth for 2010. The time is ripe to re-engage with Indonesia in a business sense, and take advantage of the opportunities. In recent months the Australian and Indonesian governments have commenced working on a free trade (FTA) agreement which has the potential to create increased business opportunities in Indonesia for Australian Businesses. As with any FTA, the negotiations will take months to years, but in the mean time Australian businesses have recently gained improved trade conditions with Indonesia as part of the expanded ASEAN free trade area that has commenced in 2010. Notwithstanding these improved investment and trade conditions in Indonesia, there are still many challenges that need to be effectively navigated if investment into the Indonesian market is to be a success. It is important to remember that Indonesia is an ethnically diverse society, with each island (there are approximately 18,000 of them) having their own cultural traditions. 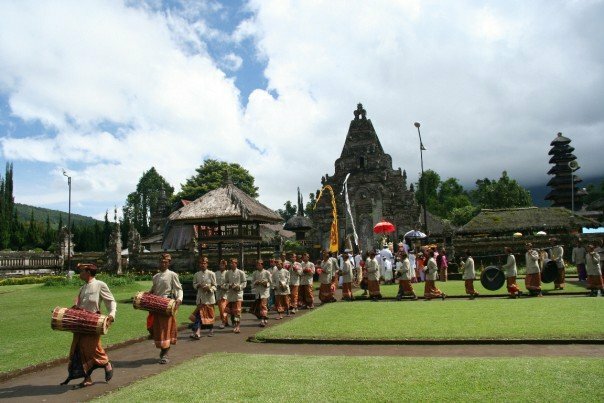 Add to that the influence of the Ethnic Chinese, who have been trading in Indonesia for the past 1000 years, you can see the impact culture has on how you conduct business in Indonesia. You need to know who you are doing business with, Javanese, Balinese, Sumatran or Chinese Indonesian (or any of the other ethnic groups that exist throughout the islands). 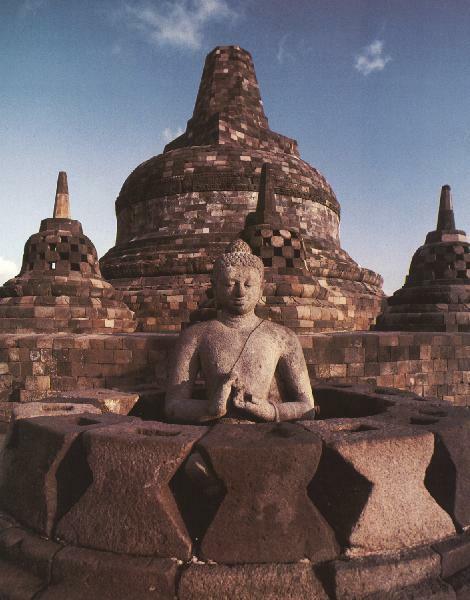 Generally speaking Indonesia has a peaceful and gentle culture, and this translates into the conduct of business. Explicitly aggressive behaviour is not displayed, and they will expect a similar calm and gentle approach from anyone with whom they are negotiating. It is important to remember that Indonesia is a society that is based upon religion and the majority of the population are Muslim, which means that as a rule, they don’t drink alcohol, don’t eat pork, and will be accommodating of any guests they host. So don’t confuse hospitality and friendly behaviour as a sign of a successful business deal. It is said that there are three types of ‘yes’ in Indonesia which actually mean: No, maybe but probably No, and Yes. It is critical that when doing business in Indonesia that you observe all non-verbal behaviour to help ensure you can identify what the true response has been. Rarely will you be told No. The Ethnic Chinese in Indonesia however can be a different story, and although influenced by the Indonesian culture in which they live, they exhibit behaviours much more in common with the Chinese in Singapore, Malaysia, Hong Kong and China. Relationship building is critical to business success, and it is much more likely that the business relationship may develop over a dinner banquet or a game of golf. Although aggressive behaviour is rarely displayed, you can expect dealings with Ethnic Chinese Indonesians’ to be much more assertive and forthright than with the ethnic Indonesians. Now, don’t get me wrong there are other challenges other than the cultural issues when entering the Indonesian market and you will need to consider the legal issues and non-tariff barriers that can be a hindrance to trade. But you need to consider the cultural nuances of trade first if you are to even contemplate success in Indonesia. Just remember the facts – Indonesia is the 4th largest country by population, with over 235 million, and it is Australia’s closest neighbour. Entering the Indonesian market is full of bureaucratic complexities and cultural challenges, but the business rewards can be very large if you are culturally aware and have patience.